We Are Hiring an Assistant Farm Manager! 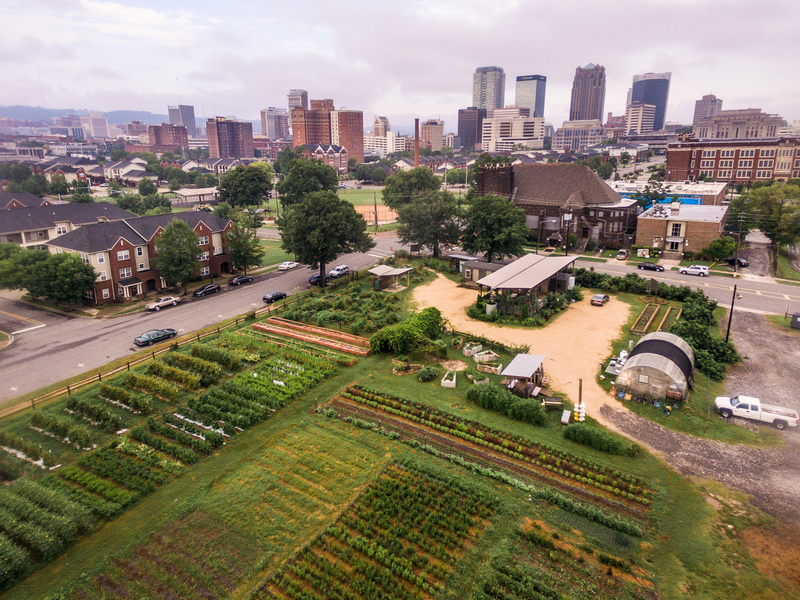 Jones Valley Teaching Farm (JVTF) has called one city block in downtown Birmingham home since 2007. As a demonstration site, the Downtown Campus attracts hundreds of visitors and supporters annually. The site is often bustling it serves as a focal point and demonstration site for our organization, as well as a central resource hub for our school farm sites. The Assistant Farm Manager supports the Farm Manager in the day-to-day operations of the site and the creation of a welcoming, engaging, and diverse outdoor learning environment. Together, the Farm Managers maintain the farm’s aesthetic and high productivity requirements. Under the direction of the Farm Manager, the Assistant Farm Manager serves as a steward of the site. Together, they welcome a variety of individuals who engage with JVTF’s work and mission . An Assistant Farm Manager performs many farm tasks directly. They also facilitate, direct, and train individuals with varying degrees of farming experience. The Assistant Farm Manager collaborates with the Senior Farm Manager and Farm Manager to develop and deliver outreach programs, including the production internship, work trade programs, volunteer programs, site tours, and the community garden. This work requires a deep understanding of organic and sustainable growing practices, and a high degree of professionalism, as well as strong management, organizational, and communication skills. Founded in 2002, JVTF is a non-profit 501(c)(3) located in Birmingham, Alabama. In 2012, JVTF established Good School Food (GSF), a food education model rooted in academic standards and implemented in partnership with Birmingham City Schools. In the GSF model, JVTF designs and builds extensive teaching farm sites where staff deliver programming that connects students to food, farming, and the culinary arts through in-school and after-school programming. Since 2012, JVTF has expanded the program to seven partner schools, including five in one distinct pre-K–12 feeder pattern in the Woodlawn community. The Assistant Farm Manager is a year-round, full-time position with a three-month probation period. Competitive compensation packages include salary, health benefits, and paid time off. If interested in applying, please send cover letter and resume to jobs@jvtf.org (subject line: Assistant Farm Manager) by November 9th, 2018.